During a special service at the Nigerian headquarters of the OFM in Auchi, Edo State on Sunday October 22nd, 2017, an aged widow had met with God as Apostle Suleman ministered and prayed on the pulpit. She had interrupted the service as her voice rung from among the crowd of worshippers in the church, asking for divine intervention in her challenge. The old woman identified as a long-standing member of the ministry, told the congregation how she had been summoned from the fellowship meeting by her landlord to return home and remove a charm she purportedly laced on the house’s premises. Apostle Suleman also asked if she was ready to leave the house. “Yes, help me daddy. I have stayed in the house for 10 years”, she begged. Following the encounter, Apostle Suleman asked to be given two months, promising to build her a good house and before then she would get a car and driver and the driver will be paid from his pocket for life. One could only imagine the atmosphere in the church as pin-drop silence followed then a loud sound of applause. The old widow passed out for ten minutes! One week before the widow’s encounter, the ‘Oracle of God had been used by God to bring back life into a baby. It was on Sunday, October 15th, 2017. While the service was in progress, the baby’s challenge had been brought to the man of God’s notice. Quickly, he had moved to where the dead baby was laid, breathed life into him in the name of God and commanded; Baby, come back to life!” That was it. Apostle Suleman’s ministry, no doubt, has restored destinies and has helped many achieve their goals in life. The renowned evangelist who is now famous as ‘Africa's most travelled evangelist of the new age’, beyond the pulpit, is civil and amiable in every scope of human life. 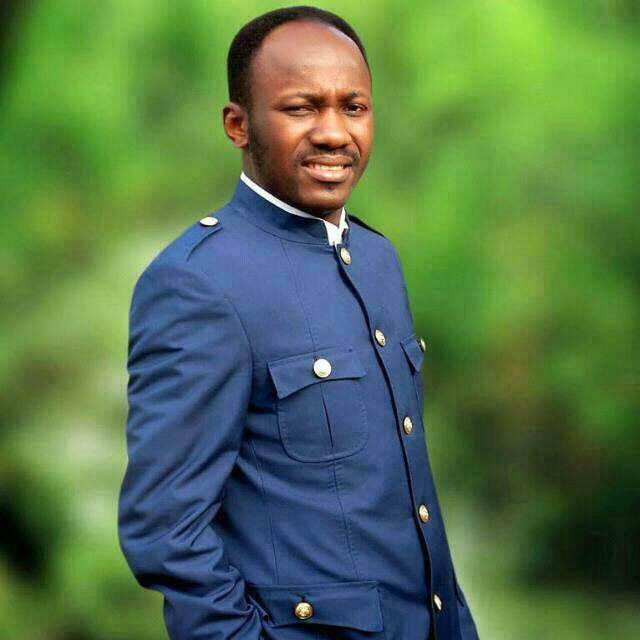 While the Americans were experiencing God's hand of restoration through His able servant, the president of the Omega Fire Ministries worldwide (OFM), Apostle (Prof.) Johnson Suleman, back in Nigeria, the dust was yet settling of two life-changing interventions God used him to carry out. Apostle Suleman and his able Ministers were in Newark, New Jersey for the final lap of the 2017 edition of the ‘Help From Above’ campaign in the United States of America. The crusade, which interestingly was climaxed with the ‘Minister Conference’, kicked off on Tuesday October 31st and came to a successful end on Thursday November 2nd 2017, became a great blessing to many whose lives had been prolonged by delays and stagnation, demonic manipulations, fruitlessness, poverty, unemployment, near-success syndrome, unending battles and various other forms of devil-induced crises.